In previous articles that I, the scribe, have written on the Book of Revelation, I make a claim that the book’s 22 chapters fit the ancient meanings of the 22 letters of the Hebrew/Phoenician alphabet, and that the millennial week of history from Adam can indeed be discerned from the book’s famous seven assemblies (or churches). We only need to beware of what lies hidden with the Key of Knowledge– that 1,000 years are but a day to the LORD. 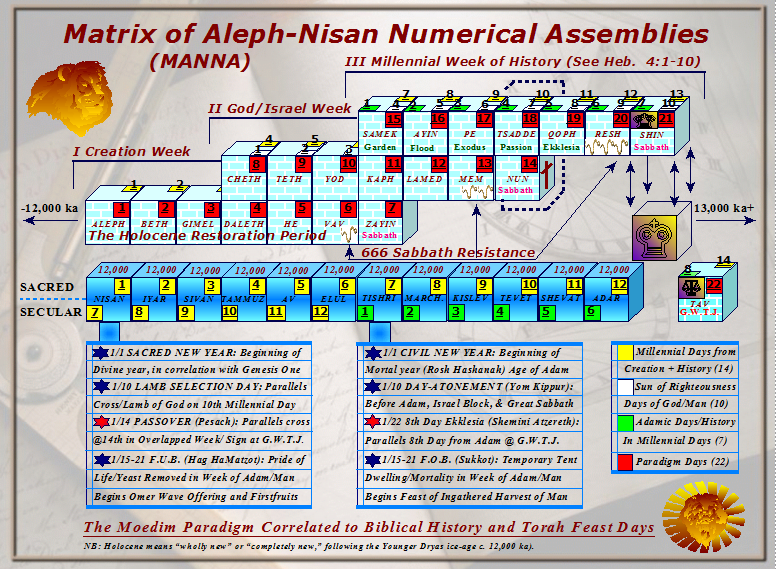 I asserted that the millennial week from Adam is specifically summarized under the letters Beth (or Bet), meaning house, and Gimel, meaning burden-carriers (as a beneficial yoke and loaded camel), with the last/top week of the millennial time template revealed in the first chapters of Revelation. According to my theory and all correlating articles, the literal millennial week from Adam through the Great Sabbath of the Messiah King should fall under Samek-Shin, with Tav remaining for the Great White Throne Judgment of the 8th millennial day (a.k.a. Shemini Atzereth). Thus, in this article, I will add more support of this exegesis from the Word of God, specifically from the Hebrew alphabet written in Psalms, Chapter 119. 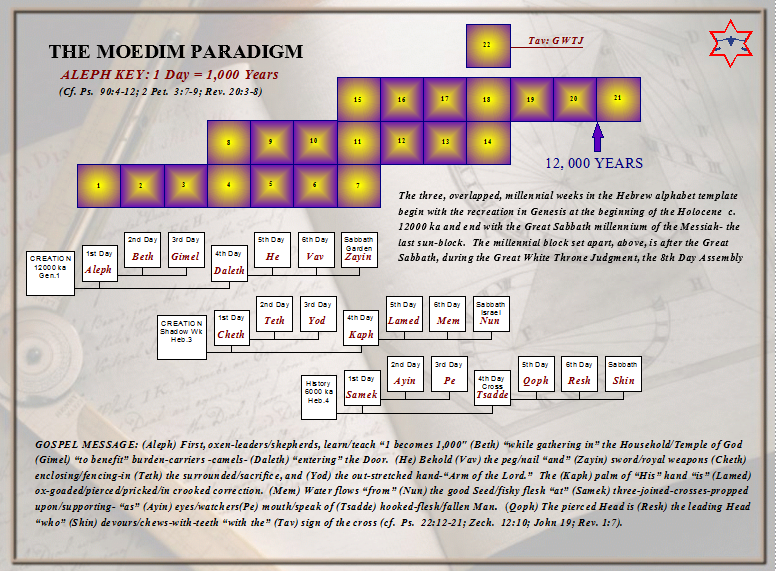 If the Hebrew letters within the Book of Psalms indeed correlate with the postulated theme of seven millennial days, in summaries, through (1) Adam and the Fall, (2) Noah and the Flood, (3) Moses and the Exodus, (4) Jesus and the Cross, (5) Peter and the Ekklesia, (6) Elijah and the Restoration, and (7) the Great King Messiah and the Great Sabbath, then truly the Moedim Paradigm and this theory has been confirmed. I had sought to end this article and move-on to the mysteries of the seven years of the Apocalypse, yet the Spirit calls for another scriptural witnesses to the millennial pillars of the Temple, for many people are slow to believe things that are new to them. Thus, we look to Messiah’s seven Kingdom parables in the Book of Matthew. 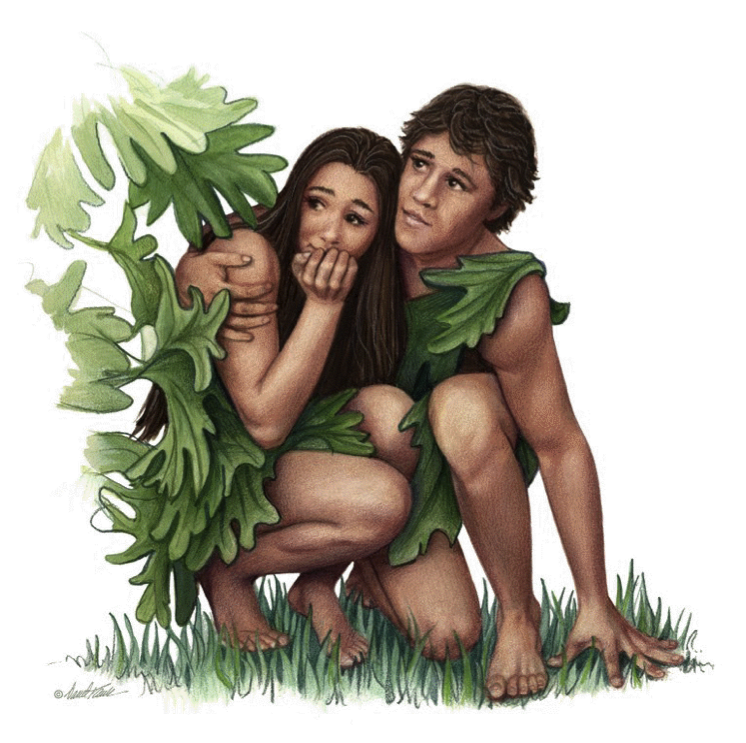 This parable hides in it the first millennial day, when God first began to instruct mankind through Adam in the Garden of Eden. Adam was earth and God’s instructions were the seeds of righteousness. We are reminded that God rewarded man in the manner of his rebellion against God. God planted Adam and Eve in the garden to be as trees of righteousness, but the seed of His instructions they cast away, behaving wickedly. Thus, God cursed the earth and seed of men, and they toiled the earth in the sweat of their brows, producing very little worth keeping. As for the message’s relevance to the coming tribulations and the Kingdom of Heaven, the seed, again, represents the Word or instructions of God for salvation, wherein some believers at first rejoice, but not having strong scriptural Hebrew roots will wither during Apocalypse tribulations and fall away from the faith. Others are choked-off by secular concerns or worldly worries. Still some bring forth the fruits of righteousness. All these things remind us of the garden in which God planted east of Eden. God looked for mankind to produce righteousness by His instructions, and they chose death and to bring forth a harvest of corruption. Therefore, God removed them from the plush garden paradise and introduced them to the cursed earth. Yet a promise remains for those who will hear God’s instructions, having strong Hebrew roots, that they will return to paradise and be as righteous trees and the harvest of God’s planting. The Messiah explained that the Kingdom of Heaven is like a field and obviously a field is the earth. While God rested in His Sabbath- or rested like the farmer- Satan began sowing the seeds of rebellion among mankind. Satan began corrupting the Kingdom of Heaven. Hidden in this parable is the fact that the Kingdom of Heaven is actually the world- the physical counterpart to the spiritual realm. Satan came along and planted a bad crop of mankind, rebellious to the Lord. Yet the Lord would not allow his angels to destroy all evil men because the good crop of mankind would be uprooted in the violence. Besides, those who belong to God cannot always discern the seed of Satan, and they would be offended by this, for tares and wheat look very much alike until harvest time. The planted would have the opportunity to grow as nourishing food for others, or as poisonous tares to evilly entreat their fellow mankind. Likely, only God knows what the crop will finally be revealed as at the time of harvest. So God instructed the reapers- the angels- to wait until the time of harvest before destroying the tares, picturing a time when He would gather the rebellious nations to be burned-up, but the good produce of wheat would be gathered by the reapers into the barn of Jerusalem- the restored physical Kingdom of David. This parallels the 2nd millennium and the flood. 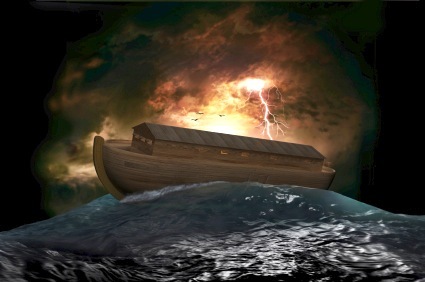 God gathered His elect in the ark for salvation, but the wicked world was destroyed at the appointed time. The first harvest of the righteous during the flood parallels the last one of fiery destruction. The field of God- the Kingdom of Heaven- is again the world. The corrupted angels- messengers- of the old world, after drowning in the flood, were cast into spiritual prison until Christ taught them the Gospel and God judged them. Thus, they served as examples of the judgment coming to the corrupted messengers of our times, even as tribulations come that will mirror the flood. Once again, as we shall see, the Kingdom of Heaven is again compared to the Lord’s planting in this world, like a field or garden. Only now, a nation is described for the restoration of the Kingdom: Israel. This parable mirrors the 3rd great day, when the Lord called a humble nation out of Egypt to plant it as His holy nation and the place of His throne. If you, the reader, recall, I explained the symbolism of birds earlier as spiritual people (see Prophetic Genesis Theory), because they rise above earthly things and see far into the distance (future) by a heavenly view. When God brought Israel to Himself, it was spiritually like Him flying with them, and from His own words, He “carried them on eagles’ wings.” Here we have a dual interpretation, which speaks of humble Israel being brought to the Promised Land, and of those whom the Lord will call for the restoration of the Kingdom of Heaven at Israel; they, too, have (and will) taken flight to the Promised Land to fulfill the will of God. As Revelation proclaims, the Bride or citizenry of the Kingdom will be given two eagle’s wings and escape to the wilderness where the Lord has a place prepared to protect her during the Apocalypse. Israel has been called many names similar to the mustard tree in Messiah’s parable (e.g., fig tree, grapevine, olive tree). In fact, Paul wisely compared Jews to a Divine olive tree, wherein some of the branches were broken-off for lack of faith, allowing the faithful among Gentiles to be grafted in through a wild olive tree. The mustard tree, however, is a reminder of the humble beginning of the Kingdom of Heaven, for the mustard seed is actually an analogy to Israel’s humble origins in the third millennial day. They were the least of the nations, but God continually promised Abraham, Isaac, and Jacob that their seed would grow into a great nation, as the stars of heaven. They began as a family within other nations, but at the coming of the Messiah the nation of Israel will be the glory of the world. But even more than these things, the Messiah was saying in this parable that He would be the prophesied King who would restore Israel in righteousness and bring about the greatest prophesies to Israel. The parable of Messiah points the knowledgeable reader back to when the Lord YHVH spoke of the king of Jerusalem going into Babylonian captivity, like an exalted cedar tree having its highest branch chopped-off. Then, further in the messianic passage of the coming righteous kingdom, the Lord installs a little humble twig…a BRANCH, both cut-off and replanted. The Branch becomes like a great tree that all Israel gathers under for shelter. This is the first part, where the Lord explains that the king of Babylon took the king of Judah and the royal household during the first captivity, like an eagle taking a high branch from a cedar tree. Yet Nebuchadnezzar left some of the seed of the land (people) and “planted it in a fertile field…placed it by abundant waters and set it like a willow tree.” A remnant remained. The Lord goes on to describe Judah’s rebellion against Nebuchadnezzar, after the seed/people that the Babylonian king left in the land had grown into a vine of low stature. Judah turned to Egypt for help and rebelled against the covenant that the king of Babylon had made with them. So the Lord continues, explaining that Egypt will not save the remnant, but now the king of Babylon will lay siege to Jerusalem and carry them all away to Babylon, where the king whom Nebuchadnezzar installed would be killed for his rebellion against Babylon. But this is where it gets very interesting, for the LORD begins to compare the king of Babylon’s covenant with remnant Judah to His own covenant with Israel. The Lord begins to speak of another twig or high cedar BRANCH being cut-off, yet returning for a righteous kingdom. This is one of the easiest passages in Scripture to perceive God’s use of dual prophecy, and the wisdom of His comparative reasoning in messianic types. Remember, the Messiah King was also cut-off by the Romans- a type of Babylon, and Messiah spoke of Rome laying siege against the city. The Messiah’s covenant for remnant Israel was rebelled against, and the Jews were soon-after dispersed into the Roman world. That is what makes it so interesting to me- that it is not only a parable, but a hidden riddle of a messianic type and prophecy within it. Some people may ask how I know this is not merely speaking of the return of the Jews from Babylon. First, I must say, that it is in part. But the reason I am sure that it mainly messianic is for four reasons: 1) It is clear that the Messiah’s parable of the coming Kingdom of Heaven directs us back to the similar passage; 2) Too many things parallel with His own ministry and history: Jerusalem facing siege mounts; Israel being scattered; the king being killed; the covenant being rejected; the final return of the king when Babylon is destroyed; etc. Then there is the similar wording that brings the knowledgeable student to meditate on Ezekiel’s riddle/parable of God; 3) The Lord YHVH repeats a pattern throughout the books of the prophets: He lists the evils of His nations, declares the prophetic punishments, and skips forward to describe the righteous and glorious kingdom of Messiah. Many of these fast-forwards to the glorious kingdom describe the Messiah as a Branch that shelters His people; 4) Last but not least, “cut-off” is a common scriptural term for death. The first high branch of the cedar, and it being cut off or “cropped off,” spoke of the ancient Jerusalem king dying in Babylon. The second tender Branch, cropped off from atop the cedar, seems to come back to life and is returned to Mount Zion to righteously reign, and the birds take shelter under Him. Secular history and Scripture inform us of the details of the Babylonian captivity, and no Jerusalem king, taken into Babylonian captivity, endured the seventy years of captivity, and then returned to righteously reign as a shelter or Branch for His people; this could only speak of a greater Diaspora and a greater return, and a greater King who was cropped off by the Romans, yet is destined to return in the appointed time of the coming Kingdom of Heaven. The first Kingdom of Heaven parable confessed the 1st millennium and the earth bringing forth few saved fruits, reminding us of the days of Adam and the cursed earth. The second parable confessed to the 2nd millennium and the separation of the wheat from the tares, and life from death, reminding us of the flood of Noah. The third parable confessed the 3rd millennium and the humble seed growing into a righteous kingdom and shelter, reminding us of the humble origins and destiny of the nation of Israel (though I emphasized the coming messianic reign rather than the third millennium, when the nation of Israel was humbly brought forth from Egypt). The fourth Kingdom of Heaven parable will confess the end of the 4th millennial day, and will reveal how the Messiah’s ministry hid the message of the Kingdom of Heaven from the spiritual understanding of Jews and Gentiles. It will also show when the Kingdom comes and how it grows. There are two interpretations to this parable, and both are equally true. The first interpretation confesses to the King hidden from most Jews. During the days of Messiah’s ministry, many Jews understood the Scriptures of God to be like nourishing bread, even as many Christians and Jews do to this day. Before there was the New Testament, the Old Testament was the only Word of God. It was divided into three sections, though usually on multiple scrolls; there was the Law (Torah), the Prophets (Nevi’im), and the Writings (Ketuvim). 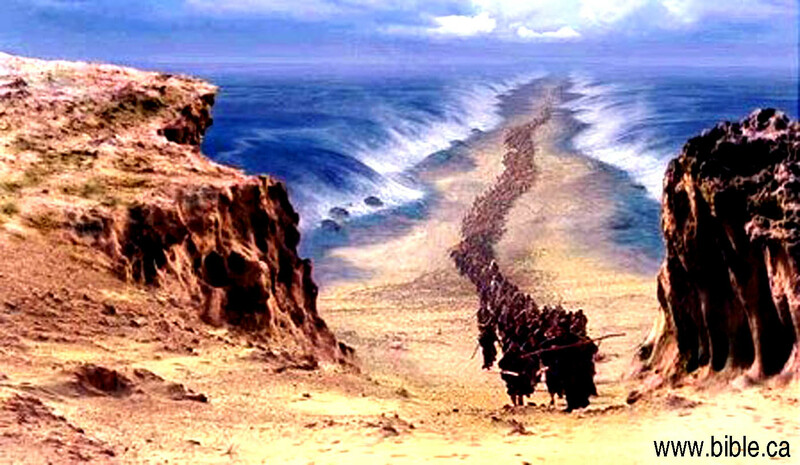 Together they formed the Tanakh, also called “Miqra” by Jews. It is the Masoretic Text of the Old Testament. Saying that the Kingdom of Heaven was like leaven hidden in three parts of bread basically meant that there was hidden meaning in the Old Testament that confessed the King of Heaven. When the Old Testament is exalted in full revelation, so too is the Kingdom of Heaven. 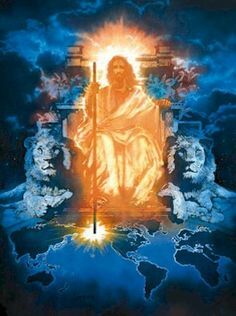 Messiah is the hidden exaltation of the three parts of the Old Testament, who, when revealed, will exalt the Kingdom of Heaven on Earth by the Word of God. Israel could not be exalted, as leaven causes bread to arise, without the hidden leaven- the hidden words of Messiah. The woman in the parable is the likeness of spiritual Zion above, laboring to bring forth the holy Kingdom of Heaven on Earth. Yet without the Great King, whose identity was hidden from Jews in those three parts, there can be no Kingdom of Heaven and true exaltation of Israel; for even the glories of King Solomon pale in comparison to what is to come. Thus the King’s identity is hidden from the spiritual eyes of most Jews, like leaven in bread, until the final fiery trials of tribulations, like ovens, are near complete. There can be no exalted kingdom without finding the King. The second interpretation, which fits with the first, confesses to the kingdom hidden from most Gentiles. The Jews always expected the glorification of Israel and a holy kingdom, but the King was hidden from their eyes; Gentiles, on the other hands, easily accept the King, as evident by the at least 2 billion followers in our day; but they have been blind to the kingdom. Most Gentiles, no matter how much you try to remove the veil from their eyes, consistently view heaven as the place they go when they die. If you try to tell a Christian that he is already living in the Kingdom of Heaven, he will probably laugh you to scorn or become angry. God is primarily, in the Christian faith, a God of the dead. Most Christians cannot accept that the world is the place of the restoration and the dominion, and that the throne of God will be at Israel. You can read prophecies and Scriptures to them all day long, but when they die they go to heaven and that’s the end of it. This world, to them, is for the leaving. Thus, just as God blinded the Jewish nation to the King, so blinded He the Gentile believers from understanding the mysteries of the Kingdom. Most Christians do not know that the living may journey within the spiritual Kingdom as the dead, and thus subconsciously separate God from the living. The bread rises on the third day. The Kingdom of Heaven is exalted on Earth on the third day from the cross, which are the three parts that the leaven was hidden in. Christians have generally rejected the flat and lowly bread of Israel, desiring the glorious risen and exalted kingdom, but the Lord shows us how it is achieved- in the ovens of tribulations and over time. Just as leavened bread rises with the heat, so is the Kingdom of Heaven exalted on earth in times of tribulations- but not just any tribulations, the ones which extend into the third millennial day at the coming of the Messiah. Then the Great King and the glorious Kingdom will be exalted, with all who are faithful gathered in, or allowed to remain. The Kingdom is described as bread because it will be found in God’s Word. All these signs were confirmed by Messiah rising in the flesh into the heavens on the third day, even as His spiritual and physical temple will be exalted and erected on the third millennial day. Then, as recorded in the Gospel’s kingdom parables, like Revelation, the Great King made a break in time after the fourth parable of the Kingdom of Heaven. He sent the multitude on their way and entered a house, which is likened to Messiah returning to His place after the cross, having sent His messengers out after teaching them the parables of the coming Kingdom of Heaven. Four millenniums had passed, and the Lord taught His disciples the meaning of the parables privately. When they asked about the field that the Kingdom was hidden in, the Messiah explained plainly, “The field is the world.” The kingdom in the world is the Kingdom of the Father and the Son. After the break, three final parables of the Kingdom of Heaven were given for the three remaining millennial days remaining in the heavenly week and the Temple of Seven Heavens. The fifth parable hides in it the 5th millennium, and concerns selling all that one has to purchase a better possession. The early assembles of Christianity, on the morning of the 5th day, counted it little loss to sell all for a future inheritance in a better life. They knew that all they had in those lives were not to be compared to their lives to come in the future Kingdom of Heaven. Notice that the man in the parable finds the treasure in a field. At risk of redundancy, it is important to again remind believers that Christ clearly revealed that the field is a place in the earth and the Kingdom. Remember the righteous blood of Able cried-out to live. Spirits do not desire to be dead but to live. 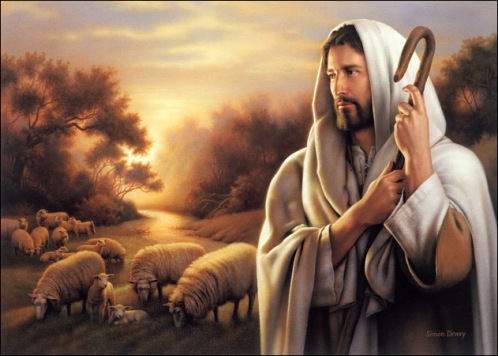 The sacrifice of the sinless Lamb was a sacrifice indeed, for the desire is to live. However, the goal of life is for the better world and the better age, to live in a restored Kingdom. The man in the parable was willing to sacrifice the riches and concerns of his current life for a future entrance in the Kingdom he had discovered. Likewise, the early assemblies longed for the end of their salvation, waiting “until the day dawns and the morning Star rises in your hearts.” There would not have been so many mysteries of the kingdom if they were simply waiting to die like all people, but they looked forward to the future restoration of Israel, restored beyond the glories of the past. 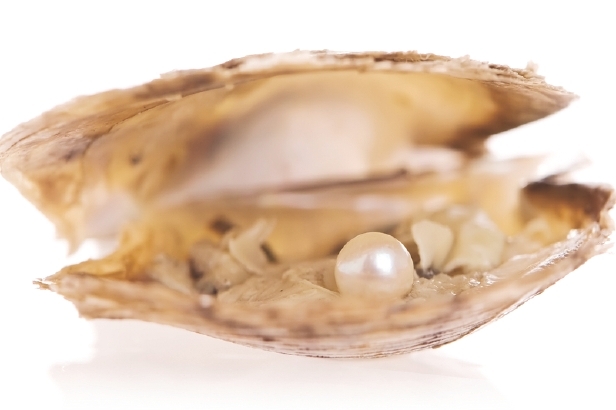 The sixth parable hides in it the 6th heavenly day, concerning a pearl of great value. This looks to the end of the sixth millennium because doorways will be given into the coming kingdom’s twelve tribes, likened to pearly gates. I will reveal more as to why the entrances into the tribes are likened to pearls near the end of this work, as I reveal some of the things concerning spiritual Jerusalem. This parable is nearly identical to the previous parable, but there are some subtle differences. In the 5th-day-parable the treasure was hidden in the field of the world, but mankind had just found it and sacrificed to obtain it. 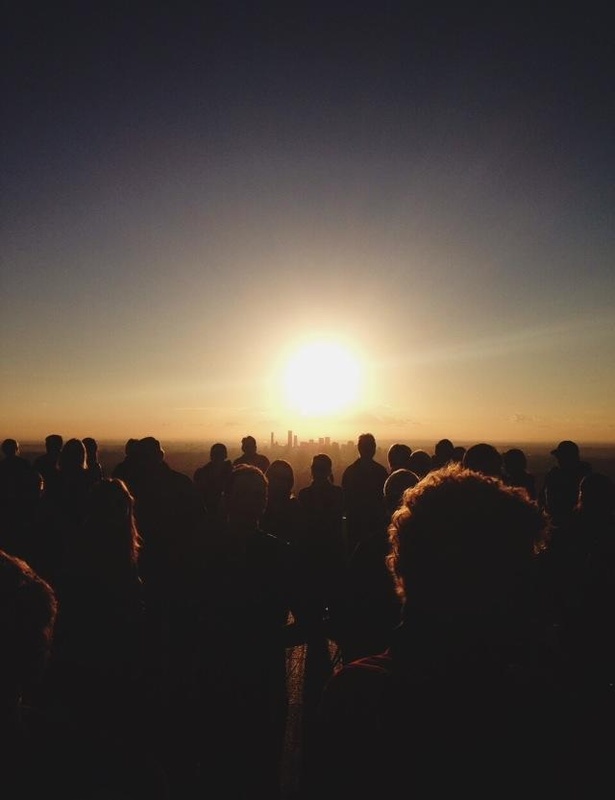 This was the beginning of the revelation of the mystery of the Kingdom for early believers. Remember, the apostles, who had been given many secrets of the coming Kingdom, asked Messiah after the resurrection, “Lord, will You at this time restore the kingdom of Israel?” Though they knew that the Kingdom of Heaven would be at Israel, they were not yet given to know the appointed time. This is the difference between the man in the 5th parable finding a nondescript treasure, though he knew it was of future value, and the man in the 6th parable finding, after searching, a named treasure- a pearl. In other words, as the Lord told Daniel when he asked about the times, “Go your way, Daniel, for the words are closed up and sealed till the time of the end,” so would the apostles have to wait for the Holy Spirit to reveal more about the treasure of the Kingdom. Thus they had to wait for the Holy Spirit to learn many of the great truths hidden with the Spirit of God. Some things even had to wait until the end of the age for full disclosure. I have no guilt in saying that those who are being prepared to enter the coming Kingdom, in our own time, will have more understanding than the apostles and prophets did in times past; this is not my word alone, but God’s biblical truth. Those at the end of the sixth workday have a named treasure for entrance into the Kingdom, with a name of their tribal inheritance. Our treasure is not just found, as the man with the nondescript treasure, but sought-out through Scriptures and named for a door of inheritance. So many Bible believers are so caught-up in the non-descript treasure of yesterday that they fail to see the glorious pearl of our entrance in our own day. In fact, those who have the Holy Spirit today, who live in the appointed times, are able to go back and see that the Messiah did answer the apostles’ question concerning when the Kingdom of Israel would be restored. But the answer can only be learned by the Spirit of God and the mind of Christ. We must have spiritual ears to hear and compare. To this day Christians are like the disciples staring up into heaven. When this passage is read, the excitement of their hearts are on Him being taken-up in the clouds, but the veil is over their eyes about when He will return and restore the Kingdom of Heaven. They were on Mount Olivet, where Messiah is prophesied to return, and He will be revealed in the clouds on a Sabbath’s day’s journey. They answered their own question when they wrote the Book of Acts, for the Spirit had come upon them and guided their writings. We are told to look up when our redemption draws near, but not to stand there staring, gawking and waiting for Messiah from heaven, as if He could come back at any time. We are to follow the Word of God by the Spirit of God. There are appointed times and places for the Lord’s works. 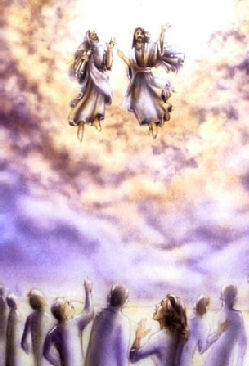 Moses and Elijah will, on the 6th day, call believers to get their heads out of the clouds and into the Scriptures. The Messiah gave a sign, being raised on the 3rd day and later taken up in the flesh to the clouds; it was a sign for our sake. The Body of Christ will be alive on the morning of the third day, and we will be called to the Kingdom of Heaven, taken up by a great cloud of witnesses. All these things are given a place and time for those who have the pearly entrance to the coming Kingdom of Heaven. It is time for every believer to start hearing the small, still voice of the Spirit, learning to connect spiritual things. It is time to understand the things hidden right before our eyes. Miraculous things hid earthly truths to come, and earthly truths hide miraculous things from the spiritual world. The seventh parable hides in it the 7th day- the Great Sabbath, and concerns the gathering of, or gathered in, fish. This should require little interpretation on my part for all who have been learning to see in parables. By now, you the reader should know that the fish being brought into the kingdom and sorted through are people gathered for the kingdom. Nevertheless, perhaps there are some things that I can write to provide better comprehension. This final parable of the coming kingdom is very different than the postulation that the righteous will be raptured to heaven. It reveals that assemblies and faiths are like boats meant to bring in the great catch to the Kingdom at the end of this age. Many people will be gathered from the nations for the Kingdom, like fish brought up from the deep waters of the Word, caught in the net of Truth. Yet not all who are gathered will be found worthy to remain, nor will all who are already there be found worthy to stay; but all will be tested and sorted out with the Spirit of Truth. I could provide many references for the symbolism of fish, water, boats, nets, and add symbols to symbols to again show the Sabbath gathering, but if these things are not obvious to readers by now, it is likely that further repetition and redundancy will do no good. Readers of these articles should already be able to interpret simple symbols of spiritual truths from our corporeal world. Be instructed for the Kingdom of Heaven, and when you instruct others, do as the Messiah says and draw out the great truths from the Old and New Testaments. Everyone who only learns and teaches of the new, and everyone who only learns and teaches from the old, is not instructed for the Kingdom of Heaven. If you cannot properly fit together things old and new, from shadows to substance, do not lead others into your confusion and astray. Fear the Lord to whom we must all give an account. These have been the ages of the Temple of Seven Heavens- the house of the humankind, where God’s Spirit dwells among the living. This is the sure interpretation of the works of the living God to the seven assemblies, which has been long awaited, appointed from ancient times to be revealed to the elect at the close of the age. If the readers will study these things, comparing them to all other interpretation, even those covering almost two millenniums, they will find this this is the only true interpretation given for the seven assemblies. Cast away all the confusion and doctrinal erring now prevalent in the many divided assemblies. There is no reason that the waters should not be made crystal clear. I have presented to you, the blessed readers, a sure foundation of time, and a framework of Scripture wherein all things properly fit. There are many interpretations of Scripture to choose from, but this is the only one which provides a complete framework that brings all the mysteries together. Satanic powers have pulled the world over our spiritual eyes and lullabied the angels- the messengers– asleep. It is time to wake-up. We are the messengers of the Kingdom of Heaven; we are the angels in heaven. The spiritual world is the preceding blueprints of the physical world. The angels of Heaven are at war for the truth to this day. The Kingdom of Heaven suffers violence. This world was a paradise, wherein the glorious spiritual and the earthly existed harmoniously together. God is the God of the living, not the dead, and all the prophets and apostles looked forward to a better world-age, when all things would be restored in this world. Dear believers, be assembled, for you are the Army of God, the rank and file; prepare yourselves for spiritual warfare on a global scale, for the war in the spiritual realms comes down to us. It appears as if I have been in too much of a rush to move away from this article. Now the Spirit has brought another thing to my attention, namely that we should consider the sequence of time in Ecclesiastes (wisdom literature) for the last week of the Moedim Paradigm, which was written by King Solomon under “the Preacher, son of King David in Jerusalem.” In the 3rd chapter of the little book, 22 short sayings (adages or proverbs) are given, but we will focus our examination upon the seven groups of four concerning time. Solomon, in all his wisdom- none being like him- lacked one thing that believers have, namely that Christ calls us “friends” and tells of His things, whereas the servants of old await greater insight and revelation. As we finish the 22 verses of Chapter 3, we discern that Solomon was moved by the Spirit to speak in apocalyptic symbolism, only his words were left for us in this age of unveiling. While the wisdom of Solomon is full of truth, his truths were limited to his subjective perceptions of the works of God and mortal man, which he shared. His statements are factual (concerning his time) while his attitude seems to allude that we should ‘eat, drink, and be merry, for tomorrow we die.’ God shared wisdom with Solomon like no other mortal, and yet he fell into abominable vanity and erected altars to pagan deities, even in Jerusalem, which angered God and caused the division of Israel in civil war. And while it is factual that none of us can learn what God has done for eternity, and that historical cycles exist that appear to make our works vain, the mind and memory of God is boundless, teaching lessons to those whom He raises beyond the confines of mortal existence; thus, nothing is truly done in vain, and nothing that He sends out returns to Him void of His purposes. Had Daniel possessed Solomon’s attitude, he could have been merry in his position under King Nebuchadnezzar- eating and drinking and taking nothing- with all being vanity- to heart. Yet Daniel sincerely prayed and sought greater comprehension, knowing that Solomon’s wisdom had its place in time, but could not satisfy the heart that is moved by the Spirit. Thus, the Lord told Daniel, to “shut up and seal the book until the time of the end; many shall run to and fro [search back and forth], and knowledge shall be increased” (Dan. 12:4). In other words, things that were sealed from the minds of old would be unveiled. As Christ said, there is nothing hidden that will not be revealed. Moreover, there are purposes that exceed mere cycles, and there is a time to learn them. Yet, as Solomon confessed, our efforts alone are in vain; it is the Spirit who makes His home in us that renews our search and implants zeal that exceeds what has already been learned in the wisdom granted men. We can count it all vanity and live like the Beast, or we can put on the mind of the Messiah and be led by the Spirit. We can stop short by saying, “Eye has not seen, nor ear heard,” or we can continue on in seeking truths of the Word. The point being made is that we can learn all things relevant to God’s works of redemption and spiritual refinement, for our wisdom is not the highest among mortal expressions of corporeal knowledge, but transcendent in comprehending the purposes of God that have been hidden in His Spirit from the hearts and minds of mankind in times past. Thus, when we follow through with the wisdom of Solomon, we see that there is little difference between mankind and the image of the Beast, whereas we are conformed to the image of God through Christ, redeeming us from the fall of beastly man by his indulging and tiring in vain knowledge. The question is begged: How could a man who received two visitations from God, receiving such knowledge and wisdom and even prophecies concerning his throne, become so tired in his spirit as to view all things as vanity and ultimately unknowable? Do beasts also receive visitations from God and build Him a Temple? Indeed, the passage screams agnosticism, so similar to today’s scientific culture of a meaningless and vain existence. With all their knowledge, they have lost the renewing and restoring Spirit. The key is, we do not rejoice in our own works per se, which grow old and suffer destruction, but in the eternal works that we perceive that the Spirit works through us– works of refinement and resurrection as the glorified children of God. Therefore, hearts must not only be turned back to consider the things written in the shadows of old, wherein men did not often perceive the Spirit working through them, for confessions of the Substance written for latter generations, but hearts still stuck in vain pursuits of their own knowledge and wisdom must be turned to the offspring of the faith, if they are to be part of the Spirit’s restoration of all things. Of such is the separation of the final judgment, when a division is made between those who perish with the heart of the Beast and those who are conformed to the Image of God through Christ.